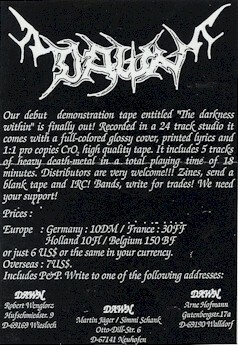 Death metal band from Neuhofen, Rhineland-Palatinate, Germany. Formed around 1990 with Martin Jäger - Vocals, Guitar, Robert (Wenge) Wenglorz - Guitar, Arne Hofmann - Bass, and Simmi Schank - Drums. Released a EP in 1996 entitled, Trespass Infinity. 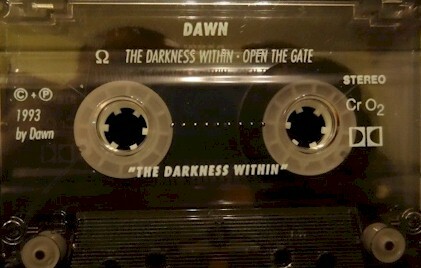 Pro printed covers with lyrics. Pro printed tapes.